Bring your little duckie into the fold with this delightful Aaron Basha charm. 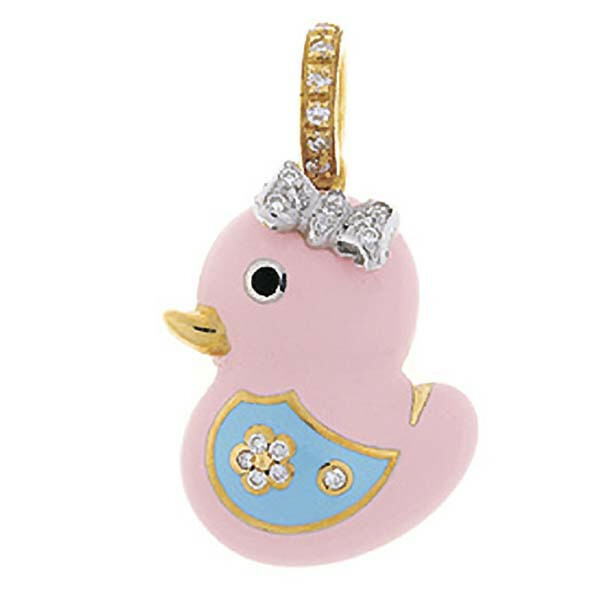 Crafted in 18kt yellow gold, this darling rubber duck has a pink enamel body with an adorable blue enamel wing. Her hair bow is given a glamorous touch with brilliant white diamonds as is the bail that floats this charm on a chain (sold separately). Her wing is even diamond-studded in the shape of a flower! This Aaron Basha piece will make a nice addition to your collection.